First month of the summer – but WHERE is it? Not at my place anyway. I’m lucky I have a cozy studio to be in these days. I’ve made two Clean And Simple cards with Visible Image stamps. Just love them for their easy use. You just can’t go wrong. The first card (Yellow/Orange) is stamped on water color paper. I’ve used rainbow ink and misted some water on the stamp before I stamped it on the paper. That makes the soft impression. The flowers and word are from the Thank You set. It’s so useful! The edges of the water color paper is colored by first wet it with a brush with water, then I held the edge into the ink pad to let it absorbe some color. All the way around. The other card is super super easy, and just perfect for a man/guy! I stamped the text and image on kraft paper and drew a line around it. I’ve used one of the brown distress ink-pads. The words is from the Thank You set and the car is Vintage Car. Only a few blings as decoration. Papers: Cardstock & Water color paper. Medium: Rainbow ink pad (Color Blox), Distress ink pad. Thank you Lisa! Adore the feminine watercolour card… it really is willing summer to come 🙂 And of course the masculine card is just perfect too! It’s been a Bank Holiday here in the UK so an extra day off for the kids and we decided to join them, as the sun came out 🙂 and we so needed a day off!!! Hello to all my readers! Hello to any new readers. It goes like this, on a Monday I blog for my DT. I am on the Visible Image design team. Each week I show you one of the pieces I have made using ONLY Visible Image stamps. Hopefully my project will inspire you! Make yourself a drink, pull up a seat and enjoy the ride! Sometimes I get the inclination to do some serious cutting out! It may not be for anything in particular but I like to have a stock of bits ready to add to random projects. I have a few favourite Visible Image designs I like to stamp and cut. Butterflies is one of them but this rose stamp which was the freebie with Craft Stamper a while back, is another favourite! 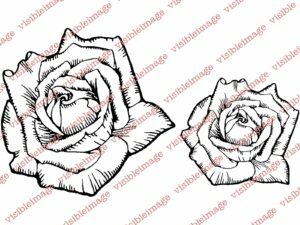 Now don’t worry if you don’t have the freebie stamp because Visible Image do the same rose in a couple of sizes. Details at the bottom of the page. I started as I usually do by colouring a couple of A3 pieces of card. Here I used dark pinks and pale greens which I then stamped over with the grunge polka dot. Once all this was dry I went over the whole area with a very very dry brushing of gesso. This took the edge off the colours and also gives a lovely chalky finish. On a piece of card which was big enough to be the main background for the project I stamped the rose all over in a burgundy colour. On another piece I stamped and embossed the rose in white. I then stamped some leaves from the Poinsettia set using just green watercolour paint. Then came the cutting out! I settled down with a cuppa and got to work. Little while later I had a pile of roses and leaves! These were arranged onto a piece of burgundy card and I used some of that 3D silicone glue to give them some height. I placed them in a swathe across the card, I used a piece of vintage lace to give some more interest. I then stamped the sentiment which is from the More than Words group of stamps. A few faux gems to add a bit of sparkle and it was done! If you want to show us what you have been creating with our stamps, then head over and join our Facebook Group where we have a monthly ‘Show & Tell‘ challenge for your chance to WIN a £25 coupon to spend on our stamps! 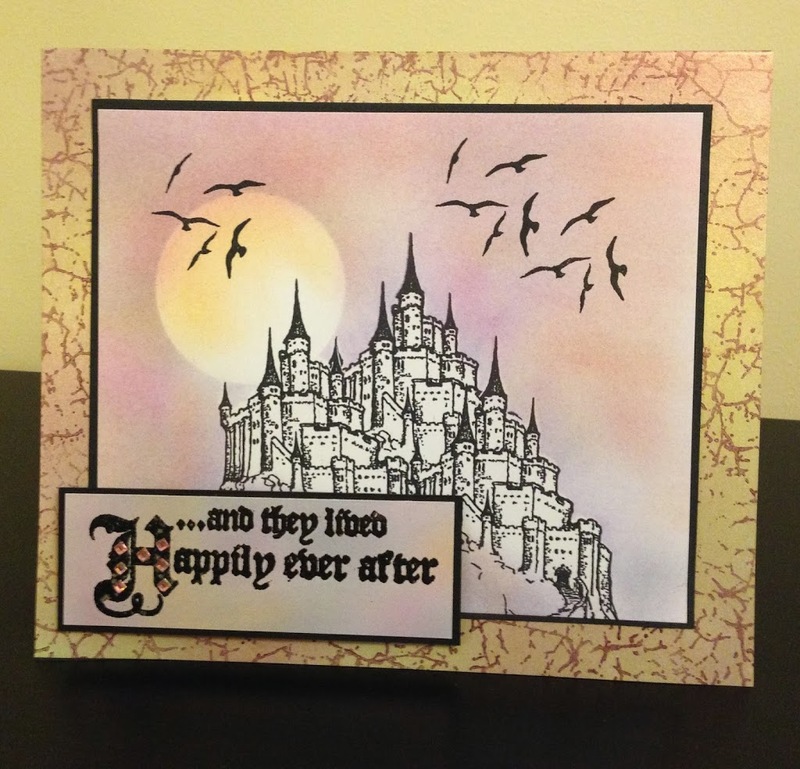 Come back tomorrow for more Visible Image stamps inspiration with the awesome Sue Joseph! that we really need to show you some more! ….And they really are MORE than words! which compliment the words so perfectly. A must have collection for card making! then head over to our website now! superb project by Hazel Eaton!!! the Visible Image Blog ! and by how quickly our More Than Words range sold out! our Facebook Group where you can upload your photos! you will find the link on our sidebar! Back soon with more of the samples created for the show.